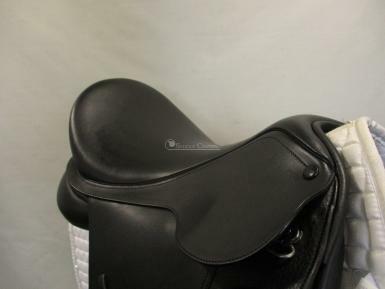 A 2013 model, in excellent condition, with only very minimal signs of use. 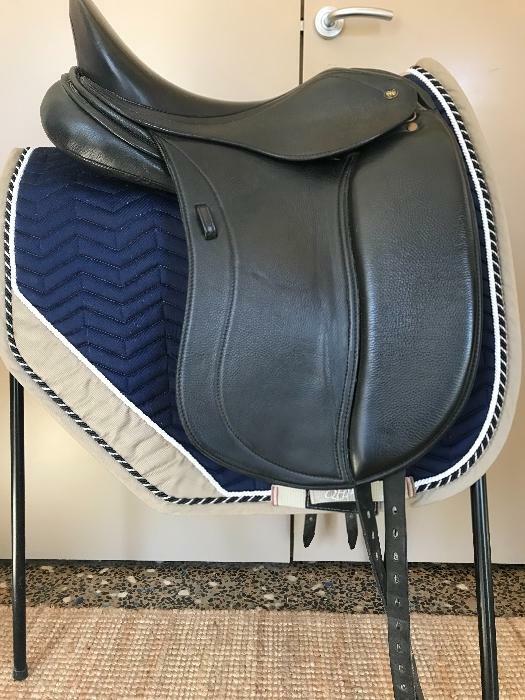 The Bates Show saddle mixes tradition with modern features, a neat looking saddle with leather covered buttons, pencil knees, edge stitched girth points and flaps, combined with the deep that seat most riders demand. 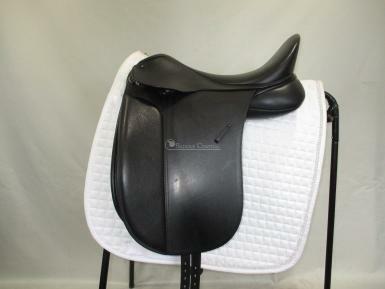 This saddle would be just a well suited to dressage as showing for a rider that likes a deep seat but prefers a saddle without the huge knee blocks. The panels are cair and have had flock added into the riser pockets to give extra lift, the flock can be removed if not required, (its a DIY removal just open up and pull it out) the cair panels are still there as original. 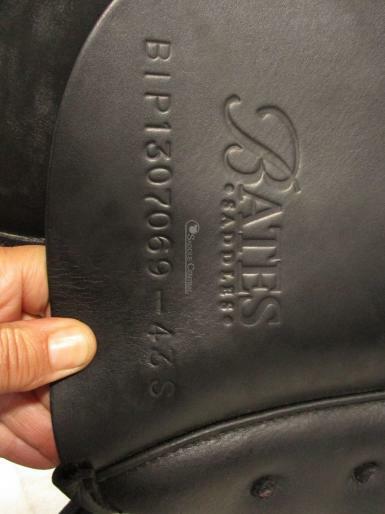 This has been done as an alternative to using the Bates riser inserts which can also be used in the pockets. 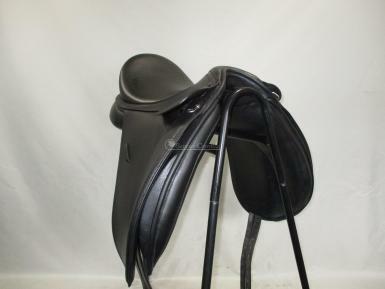 Currently fitted with a medium wide gullet, we can change to suit, add gullet alteration to your order. Wear/Damage: very minor signs of use. Tree Size Stamped: Tree Size Measured: MW. Adjustable Gullet/Tree: yes, easy change n - xw. 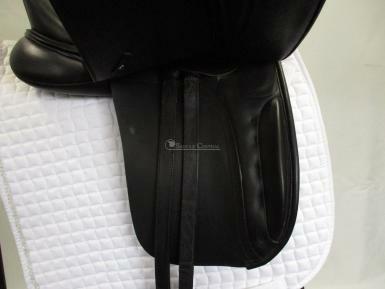 Panel Fill: original cair panels still as new, plus flock added to the riser pockets.